Today is something of a red-letter day. This is the 801st article published on this blog. This blog, DNA-Explained, was christened on July 11, 2012 and will soon be 5 years old, as hard as that is to believe. In some ways, it feels like this blog has been around “forever” and in other ways, it feels like it’s very new, because there is always some interesting topic to write about. Truthfully, I can’t believe I’ve written 800 articles. No wonder some of the letters are worn off of my keyboard. And it’s my second keyboard! My original goal was one article per week, which would have been about 235 articles by now. I wasn’t sure I could accomplish that. It’s amazing what inspiration can do! I love genetic genealogy every bit as much today as I did then, if not more. What an incredibly exciting time to be alive with an unbelievable opportunity to participate in an unfolding field with new discoveries being made on an almost daily basis. I had been considering a DNA blog when Spencer Wells, then Scientist in Residence at the National Geographic Society, suggested that I SHOULD author a blog. That encouragement was all it took to motivate me. Thanks so much Spencer for that final nudge!!! Just 12 days after DNA-Explained’s launch, the Genographic 2.0 product was introduced and I was privileged to participate in that announcement. I started writing articles in self-defense, truthfully, because I was receiving the same questions over and over again. I figured if I could write the answer once, I could then just point the next person with that same question to an answer that included graphics and illustrations and was a much better answer than I could provide in an e-mail. Plus, repetitively recreating the same answer was a time-waster – and blogging to share publicly with the goal of helping lots of people learn seemed the perfect solution. I had no idea, and I mean none, that DNA testing in the direct to consumer marketplace would explode like it has. I’m glad I started writing when I did, because there are ever-more people asking questions. That’s a good thing, because it means people are testing and learning what messages their DNA has for them. Our DNA is the most personal record of our ancestors that we’ll ever have – and today more and more tools exist to interpret what those ancestors are telling us. We are still panning for gold on the frontier of science although we know infinitely more than we did a decade or 5 years ago, and we know less than we will 5 or 10 years from now. We are still learning every single day. That’s what makes this field so exciting, and infinitely personal. Genetic genealogy is a world full of promise, but it changes rapidly and can be confusing. People need to understand how to use the numerous tools available to us to unravel our ancestral history. People also love to share stories. We become inspired by the successes of others, and ideas are often forthcoming that we would not have otherwise thought of. In light of that, I’ve tried to include a wide variety of articles at every level so that there is something for everyone. I hope I’ve managed to make genetics interesting and shared some of my enthusiasm with you over the years. To celebrate this 800 article-versary, I’m going to share a few things. Then, I’m going to ask you what you’d like for me to write about in the future. Blogs allow you to group articles by both categories and tags, two ways of organizing your articles so that people and search engines can find them. Each article is identified by categories. You can click on any of the categories, below, to see which articles fall into that category. These are also some of the keywords for the blog search feature. I’ve also grouped articles by tags as shown on the sidebar of the blog. The larger text indicates tags with more articles. You can click on any of those as well (on the actual blog page) to view all the articles that fall into that tag group. For example, one of my 52 Ancestor Stories would be tagged with “52 Weeks of Ancestors” but if it discussed Y DNA, that would be one of the categories selected. At the end of every blog article, you can see the category or categories the article is posted under, tags and other pertinent information about that article. Ethnicity Results – True or Not? Before asking a question, I wish people would try searching my blog for the answer. Using the search box in the upper right hand corner, the blog is fully key word searchable. Furthermore, even if you can’t figure out the right key word to search, you can also find articles on my blog by searching for phrases using google. Your DNA testing is only as good as the comparisons you can make, and the ancestors and ancestral links you can find. Please, please, PLEASE upload GEDCOM files to Family Tree DNA and GedMatch. If you don’t have a tree, you can create one at Family Tree DNA. Link your tree to your DNA results on Ancestry and share your results. 23andMe has no tree ability at this time. The help page with answers and guidance for the most commonly asked questions. Questions relating to Native American heritage and testing. Questions relating to ethnicity, especially when the results are unexpected or don’t seem to align with what is known or family oral history. Overwhelmed newbies who receive results and don’t have any idea how to interpret what they’ve received, which is why I created the Help page. The Future – What Articles Would You Like to See? What topics would you like to see me cover in upcoming articles? Is there something in particular that you find confusing, or enticing, or exciting? I’m not promising that I’ll write about every topic, and some may be combined, but articles are often prompted by questions and suggestions from readers. A very big thank you to all of my subscribers and followers for making DNA-Explained so popular and such a success. You folks are amazing, infinitely giving and helpful. We really are a community! Sometimes we get caught up in the details of how DNA testing for genetic genealogy works and what it means. Then someone asks a simple conceptual question, and I have to step back and figure out how to not tell them how to build a clock, but simply answer the question of what time it is. Someone sent me this query about autosomal DNA matching. That used to be a common question, but less so now, or so I thought. But maybe it’s just because people aren’t asking anymore, or I’m talking to a different audience. So, I’m introducing a “Concepts” series of articles. These articles won’t explain the specifics of “how to,” but will explain the concepts of genetic genealogy – just the concepts. For details, how to and exceptions – and you know there are always exceptions, you can dig deeper. I want to meet people I’m related to. I want to confirm my genealogy is correct. I want to find new ancestors. I want to map my chromosomes to my ancestors. Regardless of which of these goals you had when you tested, or have since developed, now that you know what is possible – most of the options are going to require you to do something – often contacting your matches. Because of the different ways the various vendors have implemented their DNA matching software, there are different reasons why you might want to contact your matches. At 23andMe, you cannot send messages to your matches or share your matching DNA segments unless you obtain permission from each match to first communicate with them and then to share matching DNA segments, which can be one or two separate permissions. 23andMe has an internal messaging system that facilitates you sending a permission request to your matches. Personalized messages work best. If permission is granted, you can then begin a dialogue about common ancestors and how you might match that person. At Family Tree DNA, you are provided with the e-mail address of everyone that you match within each person’s privacy selections. Participants can upload their GEDCOM files, create family trees and enter a list of ancestral surnames. You can search by current or ancestral surname. The most common reason to contact someone you match at Family Tree DNA is if you are a match to them and they have not uploaded or created a family tree. Ancestry also uses an internal messaging system. The most common reason to contact a DNA match at Ancestry is if you match someone, and especially if you share a shakey leaf hint with them, meaning you have a common ancestor in your trees – but your match’s tree is private and you can’t see who that common ancestor might be. If you upload your results to www.gedmatch.com, a free (donation based) site, you can then match your results to people who tested at all 3 companies – if they also have uploaded their results. People provide their e-mails when uploading and configuring their accounts at GedMatch. People who use GedMatch are often the most excited and “into” autosomal DNA matching and therefore, the most likely to contact matches. Regardless of where you are matching, it’s important to make that first communication attempt count. At 23andMe, if your match declines contact, you can’t communicate with them. If they don’t reply, you can delete that first contact attempt and try again, but your attempts are limited – so you really do have to make them count. Here are some helpful hints and approaches that do and don’t work well. Your goal is to obtain a helpful response, so you want to position yourself in the best possible light to get that response. A faux pas may kill your chances, so let’s start out with what not to do, and why, then we’ll look at how to make your communications a winner! Don’t send group e-mails to everyone you match saying, “Hi, we all match. Can you tell me how?” Guess what? You won’t get many or any replies and you’ll have irritated all of your matches in one fell swoop. This is considered DNA spamming. Think about what you are writing before you press that send button. Don’t say things like this to people: “Hi, I’m guessing (or hoping) that you’ve mapped your (or your cousin’s) chromosomes and you can just tell me how we are related.” When I told this person I have not mapped my cousin’s chromosomes – they had the bad judgment to ask me when I might get around to it. Don’t provide just a few surnames and ask if they are related. Most of your matches will be more than 2 or 3 generations back in the tree, so the answer is likely going to be “no,” or no answer at all. Don’t offer to send them an ancestry invite. That means they have to sort through your entire tree to find a match, AND Ancestry will attach your tree to their list forever. Give the e-mail recipient something to work with in the e-mail itself. Don’t make your problem their problem or they won’t reply. The more work they have to do to reply, the less chance they will. Don’t send multiple e-mails with dribs and drabs of information in each one. If you have something to share, put it together logically and concisely in an e-mail and send one. Don’t assume that someone of a different ethnicity isn’t related to you. Don’t assume a particular surname is indicative of a person’s entire genealogical background. Don’t convey an entitlement attitude. Remember, you are asking them to take a few minutes of their time to help you. Don’t assume that all of your matches are from the US, or that English is their primary language – so use full state names and locations. The good news is that more and more people are testing from around the world. Don’t send messages in all caps. Don’t send messages with misspellings, incorrect grammar or abbreviated texting language. Translated, this means your phone or i-pad with autocorrect is probably not a good idea. Don’t send the entire request in the title of the message. Yes, people do this. Don’t just send the “canned” request message at 23andMe. Send a personal note. If you have an online tree, include that link. If you notice you have ancestors from the same part of the world, or country, tell them. If you match their DNA, tell them. Some people send match requests because they notice a common surname. In other words, try to find some common ground to start a conversation. Don’t dash off a hurried, half-baked, partially complete message. It shows and will be reflected in the responses you do, and don’t, receive. Don’t expect others to do your work for you. Recently, I received a match contact and when I asked the sender for the name of the person they matched, they told me they couldn’t remember, they had sent out a “mass mailing,” and asked me to check my kits and see if there were matches to them. Seriously? They also didn’t tell me the testing company name, nor the test type. Three e-mails later, I still don’t know the name of the person they matched. Guess what. Delete! Make it easy for your matches to help you and don’t waste their time by only providing partial information. Read your matches profiles if they have provided one. It shows you took the time to read what they provided, and may give you some common ground out the door. “I see we both have ancestors from the Netherlands,” is a good icebreaker, for example. Address the e-mail to the person using their name if it’s available. In other words, begin, “Hi Joe” not just “Hi.” Do not assume a gender. Names can be deceiving. My name is not deceiving, Roberta, but I can’t tell you how many e-mails I receive to Robert or “Mr. Estes.” This tells me they didn’t pay attention. Do use capital letters and punctuation. Otherwise, you’re telling the person on the receiving end they aren’t important enough to bother with – and they will likely treat your request in kind. Enter information about yourself in your profile at the vendors, including your country of origin. Upload a photo of yourself into your profile at the vendor so that people can see you. This makes you seem more like a real person and they may look at you for family resemblance. Probably shouldn’t upload a photo that might be controversial or off-putting if your goal is to maximize response. Link your tree to your DNA results (Ancestry) or upload a Gedcom file (Family Tree DNA.) 23andMe is more challenging since their collaboration with My Heritage which is a subscription service. Most people simply put a link to their public tree someplace in their profile information at 23andMe. Provide your name and kit number or other identifying information in all correspondence – including the first e-mail. Tell them where you tested and where you are matching them. “Hi, I tested at Ancestry and downloaded by kit to GedMatch where I’m kit number A100007. I’m matching kit F9141, Jane Doe, where you are listed as the contact.” Be sure to get the name of the testing company right. Today, someone told me the test was through “Family Search,” who, of course, does not do DNA testing. If you are matching at GedMatch and you lowered the match threshold from the default, tell them. Better yet, don’t lower the threshold, at least not for initial comparisons. Make replying to your query as easy as possible. You stand a much better chance of getting a reply. The more work you make them do, the less chance you’ll get a reply. Include your full name and e-mail address if you are using Ancestry’s or 23andMe’s message systems. Get your facts straight. I recently received an e-mail from someone who told me that we matched on 21% of our DNA and one segment. I knew that was impossible because 21% is in the half sibling range and if you’re a half sibling – you will match on a whole lot more than one segment. If you don’t pay attention and get your facts straight, it’s less likely that the person you are contacting will take you seriously. Accept contact requests if you tested at 23andMe and receive a contact or sharing request, and be sure to share genomes so that you can see how you match and use their comparison tools like their Family Inheritance: Advanced. Include a very brief, maybe two sentence summary about yourself in contact requests. Something like. “It appears we may match on my father’s side which is primarily from Appalachia, which means they were Scotch-Irish and British before that” or “My maternal heritage is from Scandinavia, so the names may not look familiar to you. My mother’s family is from the area near Stockholm.” Do not tell them your life story or ramble. You’ll lose them. If you’re adopted or searching for an unknown parents or grandparent, visit www.dnaadoption.com. If you have a blog or genealogy webpage, include that information, maybe below your signature. If you’re serious about maximizing your opportunities for success with genetic genealogy, you’ll want to test at all 3 companies, Family Tree DNA (Y, mtDNA and autosomal), Ancestry and 23andMe. Family Tree DNA facilitates reduced cost file transfers from Ancestry and from 23andMe if you tested before Dec. 2013 (when 23andMe changed their chip.) They all have their strong and weak points – but the bottom line is that you’ll want to fish in all three ponds. You’ll also want to download your results from one of those companies, preferably Family Tree DNA or Ancestry, to www.gedmatch.com, a site that facilitates comparison of data from the various companies and provides some great tools. GedMatch is a contribution site, so don’t forget to donate. Some of their Tier 1 tools require a minimal subscription of $10 a month, which is well worth it if you are serious. Ask your matches if they have downloaded their data to GedMatch and provide your kit number there. Be courteous and gracious. Say please and thank you. You’d be amazed how many people say neither. Share this article with eager newbies who need a little direction. Most newbies aren’t going to find this article before shooting off that e-mail in their initial excitement to an entire group of matches. By helping them to better focus their efforts, you’ll be helping yourself too. Most newbies have no idea what they’ve just gotten themselves into! Acknowledgements: Thanks to contributors in the ISOGG Facebook group for helping to flesh out these tips for success. What, exactly, is an autosomal DNA match? I’m sorry, I just had to say that. I know this sounds like a very basic question, and it is, but the answer sometimes isn’t as straightforward as we would like for it to be. Plus, there are differences in quality of matches and types of matches. If you want to sigh right about now, it’s OK.
Darned good question and I wish someone had explained this to me so I wouldn’t have had to figure it out. In the computer industry, where I spent many years, we have what we call flow charts or wernier diagrams which in essence are logic paths that lead to specific results or outcomes depending on the answers at different junctions. I had a really hard time deciding whether to use the beer decision-making flow chart or the procrastinator flow chart, but the procrastinator flow chart was just one big endless loop, so I decided on the beer. What I’m going to do is to step you through the logic path of finding and evaluating a match, determining whether it’s valid, identical by descent or chance, when possible, and how to work with your matches and what they mean. Let me also say that while I use and prefer Family Tree DNA, these matching techniques are universal and apply to results from 23andMe as well, but not for Ancestry who gives you no browser or tools to compare your DNA to anyone else. So, you can’t compare your results at Ancestry. Comparing DNA results is the lynchpin of genetic genealogy. You’re dead in the water without it. If you have tested at Ancestry, you can always transfer your results to Family Tree DNA, where you do have tools, and to GedMatch as well. You’re always better, in terms of genealogy, to fish in as many ponds as possible. Before we talk about how to work with matches, for those who need to figure out how to find matches at Family Tree DNA and 23andMe, I wrote about that in the Chromosome Browser War article. This article focuses on working with matching DNA after you have found that you are a match to someone – and what those matches might mean. All autosomal DNA vendors have matching thresholds. People who meet or exceed those thresholds will be shown on your match list. People who do not meet the initial threshold will not be considered as a match to you, and therefore will not be on your match list. Currently, at Family Tree DNA, their match threshold to be shown as a match is about 20cM of total matching DNA and a single segment of about 7.7cM with 500 SNPs or over. The words “about” are in there because there is some fuzziness in the rules based on certain situations. At 23andMe, the threshold is 7cMs/700 SNPs for the first segment. However, 23andMe has an upper limit of people who can match you at about 1000 matches. This can be increased by the number of people you are communicating or sharing with. However, your smallest matches will be dropped from your list when you hit your threshold. This means that it’s very likely that at least some of your matches are not showing if you have in excess of 1000 matches total. This means that your personal effective cM/SNP match threshold at 23andMe may be much higher. For this comparison, I’m starting with two fresh files from Family Tree DNA, one file of my own matches and one of my mother’s matches. My mother died before autosomal DNA testing was available, so her results are only at Family Tree DNA (and now downloaded to GedMatch,) because her DNA was archived there. Thank you Family Tree DNA, 100,000 times thank you!!! At Family Tree DNA, the option to download all matches with segment information is on the chromosome browser tab, at the top, at the right, shown below. If you have your parents DNA available to test and it hasn’t been tested, order a kit for them today. If either or both parents have been tested, download their results into the same spreadsheet with yours and color code them in a way you will understand. In my case, I only have my mother’s results, and I color coded my matches pink, because I’m the daughter. However, if I had both parents, I might have colored coded Mother pink and Dad blue. Whatever color coding you do, it’s forever in your master spreadsheet, so make a note of what it is. In my case, it’s part of the match column header. Why is it in my column header? Because I screwed up once and reversed them in a download. The green cell matches are matches to me from 23andMe. My cousin, Cheryl also tested at 23andMe before autosomal testing was offered at Family Tree DNA. The Source column, in my spreadsheet, means any source other than FTDNA. The Ignore column is an extraneous number generated at one time by downloads. I could delete that column now. The “Side” column is which side the match is from, Mom or Dad. Mom’s I can identify easily, because I have her DNA to compare to. I don’t identify a match as Dad’s without having identified an ancestral line, because I don’t have his DNA to compare to. And no, you can’t just assume that if it doesn’t match Mom, it’s an automatic match to Dad because you may have some IBS, identical by chance, matches. The Common Ancestors/Comments column is just that. I include things like when I e-mailed someone, if the match is triangulated and if so, with whom, etc. In my master spreadsheet, the first “name” column (of who tested) is deleted, but I’ve left it in the working spreadsheet (below) with my mother for illustration purposes. That way, neither of us has to remember who is pink! If you need a refresher on, phasing, IBD, identical by descent, IBS which can mean either identical by chance or identical by population, it would be a good time to read or reread the article titled How Phasing Works and Determining IBD Versus IBS Matches. Let’s briefly review the IBD vs IBS guidelines, because we’ll be applying them in this article. Identical by Chance – Can be determined if an individual you match does not match to one of your parents, if parents are available. If parents are not available for matching, IBS by chance segments won’t triangulate with other known genealogical matches on a common segment. Identical by Descent – Can be suggested if a common ancestor (or ancestral line) can be determined between any two people who are not known relatives. If the two people are known close relatives, and their DNA matches, identical by descent is proven. IBD can be proven with previously unknown family or genealogical matches when any three people descending from that same ancestor or ancestral line all match each other on the same segment of DNA. Three way matching is called triangulation. Identical by Population – Can be determined when multiple people triangulate with you on a specific segment of DNA, but the triangulated groups are from proven different lineages and are not otherwise related. This is generally found in smaller segments from similar regions of the world. Identical by population is identical by descent, but the ancestors are so far back in time that they cannot be determined and may contribute the same DNA to multiple lineages. This is particularly evident in Jewish genealogy and other endogamous groups. The first thing to do, if you have either or both parents, is to determine whether your matches phase to your parents or are IBS by chance. In this context, phasing means determining whether a particular match is to your father’s side of the family or to your mother’s side of the family. Remember, at every address in your DNA, you will have two valid matches to different lines, one from your mother and one from your father. The address on your DNA consists of the chromosome number which equates to the street name, and then the start and end locations, which consists of a range of addresses on that street. Think of it as the length of your property on the street. First, let’s look at my situation with only my mother’s DNA for comparison. It’s easy to tell one of three things. Do mother and I both match the person? If so, that means that DNA match is from mother’s side of the family. Mark it as such. They are green, below. If the individual does not match me and mother, both, and only matches me, then the match is either on my father’s side or it’s IBS by chance. Those matches are blue below. Because I don’t have my father’s DNA, I can’t tell any more at this step. Notice the matches that are Mom’s but not to me. That means that I did not receive that DNA from Mom, or I received a small part, but it’s not over the lowest matching threshold at Family Tree DNA of 1cM and 500 SNPs. In this next scenario, you can see that mother and I both match the same individual, but not on all segments. I selected this particular match between me, my mother and Alfred because it has some “problems” to work through. The segments shown in green above are segments that Mom carries that I don’t. This means that I didn’t receive them from mother. This also means they could be matching to Alfred legitimately, or are IBS by chance. I can’t tell anything more about them at this point, so I’ve just noted what they are. I usually mark these as “mother only” in my master spreadsheet. The first of the two green rows above show a match but it’s a little unusual. My segment is larger than my mothers. This means that one of five things has happened. There is a read error in one of the files. The boundary locations are fuzzy, meaning vendor calculations like ‘healing’ for no calls, etc.. I also match to my father’s line. Recombination has occurred, especially possible in an endogamous population, reconnecting identical by population segments between me and Alfred at the end of the segment where I don’t match my mother’s segment, so from 16,100,293 to 16,250,884. Given that this is a small segment, the most likely scenario would be the first, that this is partly valid and partly IBS by chance. I just make the note by that row. The second green segment above isn’t an exact match, but if my segment “fits within” the boundaries of my mother’s segments, then we know I inherited the entire segment from her. Once again, my boundaries are off a bit from hers, but this time it’s the beginning. The same criteria applies as in 1-5, above. The green segments above are where I match Alfred, but my mother does not. This means that these segments are either IBS by chance or that they will match my father. I don’t know which, so I simply label them. Given that they are all small segments, they are likely IBS by chance, but we don’t know that. If we had my father’s DNA, we would be able to phase against him, too, but we don’t. Now, if I was to leave this discussion here, you might have the impression that all small segment matches have problems, but they don’t. In fact, here’s a much more normal “rea life” situation where mother and I are both matching to our cousin, Cheryl, Mom’s first cousin. These matches include both large and small segments. Let’s take a look and see what we can tell about our matches. Roberta and Barbara have a total of 83 DNA matches to Cheryl. Some matches will be where Barbara matches Cheryl and Roberta doesn’t. That’s normal, Barbara is Roberta’s mother and Roberta only inherits half of Barbara’s DNA. These rows where only Barbara, the mother, matches Cheryl are not colorized in the Start, End, cM and SNP columns, so they show as white. Some matches will be exact matches. That too is normal. In some cases, Barbara passes all of a particular segment of DNA to Roberta. These matches are colored purple. Some of these matches are partial matches where Roberta inherited part of the segment of DNA from Barbara. These are colored green. There are two additional columns at right where the percentage of DNA that Roberta inherited from Barbara on these segments is calculated, both for cM and SNPs. Some of the matches are where Roberta matches Cheryl and Barbara doesn’t. Cheryl is not known to be related to Roberta on her father’s side, so assuming that statement is correct, these matches would be IBS, identical by state, meaning identical by chance and can be disregarded at legitimate matches. These are colored rust. Note that most of these are small segments, but one segment is 8.8cM and 2197 SNPs. In this case, if this segment becomes important for any reason, I would be inclined to look at the raw data file of Barbara to see if there were no calls or a problem with reads in this region that would prevent an otherwise legitimate match. Let’s look at how these matches stack up. I think it’s interesting to note that while, on the average, 50% of the DNA of any segment is passed to the child, in actuality, in this example of partial inheritance, meaning the green rows, inheritance was never actually 50%. In fact, the SNP and cM percentages inherited for the same segment varied, and the actual amounts ranged from 11-98% of the DNA of the parent being inherited by the child. The average of these events was 54.57143 (cM) and 54.21429 (SNPs) however. On top of that, in 13 (26 rows) instances, Roberta inherited all of Barbara’s DNA in that sequence, and in 20 cases, Roberta inherited none of Barbara’s DNA in that sequence. This illustrates that while the average of something may be 50%, none of the actual individual values may be 50% and the values themselves may include the entire range of possibilities. In this case, 11-98% were the actual percentage ranges for partial matches. I don’t have my father’s DNA, but I’m creating this next example as if I did. Matches to mother are marked in green. I have two matches where I match my father, so we can attribute those to his side, which I’ve done and marked in orange. The third group of matches to me, at the bottom, to Julio, Anna, Cindy and George don’t match either parent, so they must be IBS by chance. Step 5 – How Much of the DNA is a Match? One person asked, “exactly how do I tell how much DNA is matching, especially between three people.” That’s a very valid question, especially since triangulation requires matching of three people, on the same segment, proven to a common ancestral line. Let’s look at the match of both me and my mother to Don, Cheryl and Robin. In this example, we know that Don, Cheryl and Robin all match me on my mother’s side, because they all three match me and my mother, both on the same segment. How do we determine that we match on the same segment? I have sorted this spreadsheet in order of end location, then start location, then chromosome number so that the entire spreadsheet is in chromosome order, then start location, then end location. We can see that both mother and I match Cheryl partially on this segment of chromosome 1, but not exactly. The start location is slightly different, but the end location matches exactly. On the chart below, you can see that mother and I also both match Don, Cheryl’s brother, on part of this same segment, but not all of the same segment. The common matching areas between me, Mom and Don begins at 176,231,846 and ends at 178,453,336. Next, let’s look at the third person, Robin. Mom and I both match Robin on part of this same overlapping segment as well. Note that my segment extends beyond Mom’s, but that does not invalidate the portion that does match between Robin, Mom and I. So, let’s look at various types of matches and what they tell us. 1. Are these matches identical by chance? No. How do we know? a. Because they all match both me and a parent. 2. Are these matches identical by descent? Yes. How do we know? a. Because we all match each other on this segment, and we know the common ancestor of Cheryl, Don, Barbara and me is Hiram Ferverda and Evaline Miller. We know that Robin descends from the same ancestral Miller line. 3. Are these matches identical by population. We don’t know, but there is no reason at this point to think so. Why? a. Because looking at my master spreadsheet, I see no evidence that these segments are also assigned to other lineages. These individuals are also triangulated on a large number of other, much larger, segments as well. 4. Are these matches triangulated, meaning they are proven to a common ancestor? Yes. How do we know? a. Documented genealogy of Hiram Ferverda and Evaline Miller. Don, Barbara, Cheryl and me are known family since birth. b. Documented genealogy of Robin to the same ancestral family, even though Robin was previously unknown before DNA matching. c. Even without the documented genealogy, Robin matches a set of two triangulation groups of people documented to the same ancestral line, which means she has to descend from that same line as well. In our case, clearly these individuals share a common ancestor and a common ancestral line. Even though these are small segments on chromosome 1, there are much larger matching segments on other chromosomes, and the same rules still apply. The difference might be at some point smaller segments are more likely to be identical by population than larger segments. Larger segments, when available, are always safer to use to draw conclusions. Larger groups of matching individuals with known common genealogy on the same segments are also the safest way to draw conclusions. Sometimes you’re just not that lucky. Let’s say both of your parents have passed and you have no DNA from them. That immediately eliminates phasing and the identical by chance test by comparing to your parents, so you’ll have to work with your matches, including your identical by chance segments. A second way to “phase” part of your DNA to a side of your family is by matching with known cousins or any known family member. In the situation above, matching to Cheryl, Don and Robin, let’s remove my mother and see what we have. In this case, I still match to both of my first cousins, once removed, Cheryl and Don. Given that Cheryl and Don are both known cousins, since forever, I don’t feel the need for triangulation proof in this case – although the three of us are triangulated to our common ancestor. In other words, the fact that my mother does match them at the expected 1st cousin level is proof enough in and of itself if we only had one cousin to test. We know our common ancestor is Cheryl and Don’s grandparents, who are my great-grandparents, Hiram Ferverda and Evaline Miller. When I looked at Robin’s pedigree chart and saw that Robin descended from Philip Jacob Miller and wife Magdalena, I knew that this segment was a Miller side match, not a Ferverda match. Therefore, matching with someone whose genealogy goes beyond the common ancestor of Cheryl, Don and me proves this line through 4 more generations. In other words, this DNA segment came through the following direct line to reach Me, Mother, Cheryl and Don. Clearly, we know from the earlier chart that my mother carried this DNA too, but even if we didn’t know that, she obviously had to have carried this segment or I would not carry it today. So, even though in this example, our parents aren’t directly available for IBS testing and elimination, we can determine that anyone who matches both me and Cheryl or me and Don will have also matched mother on that segment, so we have, in essence, phased those people by triangulation, not by direct parental matching. What else does this match group tell us? It tells us that anyone else who matches me and any one of our triangulation group on that segment also descends from the Miller descendant clan, one way or another. Why do they have to match me AND one of the triangulation group members on that segment? Because I have two sides to my DNA, my Mom’s side and my Dad’s side. Matching me plus another person from the triangulation group proves which side the match is on – Mom’s or Dad’s. We were able to phase to eliminate any identical by chance segments people on Mom’s side, so we know matches to both of us are valid. On Dad’s side, there are some IBS by chance people (or segments) thrown in for good measure because I don’t have my Dad’s DNA to eliminate them out of the starting gate. Those IBS segments will have to be removed in time by not triangulating with proven triangulated groups they should triangulate with, if they were valid matches. When you map matches on your chromosome spreadsheet, this is what you’re doing. Over time, you will be able to tell when you receive a new match by who they match and where they fall on your spreadsheet which ancestral line they descend from. GedMatch also includes a triangulation utility. It’s a great tool, because it produces trios of people for your top 400 matches. The results are two kits that triangulate to the third person whose kit number you are matching against. In the example above, all of the triangulation matches to me above the red arrow include either Mother, my Ferverda cousins or the Miller group that we discussed in the Just One Cousin article. In other words they are all related via a common ancestor. You can tell a great deal about triangulation groups by who is, and isn’t in them using deductive reasoning. And once you’ve figured out the key to the group, you have the key to the entire group. In this case, Mom is a member of the first triangulation group, so I know this group is from her side and not Dad’s side. Both Ferverda cousins are there, so I know it’s Mom’s Dad’s side of the family. The Miller cousins are there, so I know it’s the Miller side of Mom’s Dad’s side of the family. Please also note that while this entire group triangulates within itself, that the group manages to slide right and the first triangulated group of 3 in the list may not overlap the DNA of the last triangulated group of 3. In fact, because you can see the start and end points, you can tell that these two triangulated groups don’t overlap. The multiple triangulation groups all do match some portion of the group above and below them (in this case,) and as a composite group, they slide to the right. Because each group overlaps with the group above and below them, they all connect together in a genetic chain. Because there is an entire group that are triangulated together, in multiple ways, we know that it is one entire group. This allows me to map that entire segment on my Mom’s side of my DNA, from 10,369,154 to 41,685,667 to this group because it is contiguously connected to me, triangulated and unbroken. The most distant ancestor listed will vary based upon the known genealogy of the three people being triangulated For example, part of this segment, may come from Philip Jacob Miller himself, the line’s founder,, but another part could come from his son’s wife, who is also my ancestor. Therefore, the various pieces of this group segment may eventually be attributed to different ancestors from this particular line based upon the oldest common ancestor of the three people who have triangulated. In our example above, the second group starts where the red arrow is pointing. I have absolutely no idea which ancestor this second group comes from – except – I know it does not come from my mother’s side because her kit number isn’t there. Neither are any of my direct line Estes or Vannoy relatives, so it’s probably not through that line either. My Bolton cousins are also missing, so we’ve probably eliminated several possible lines, 3 of 4 great grandparents, based on who is NOT in the match group. See the value of testing both close and distant cousins? In this case, the family members not only have to test, they also have to upload their results to GedMatch. Conversely, we could quickly identify at least a base group by the presence in the triangulation groups of at least one my known cousins or people with whom I’ve identified my common ancestor. Two from the same line would be even better!!! The last thing I want to show you is an example of what an endogamous group looks like when triangulated. This segment of chromosome 9 is an Acadian matching group to my Mom – and the list doesn’t stop here – this is just the size of the screen shot. These matches continue for pages. How do I know this group is Acadian? In part, because this group also triangulates with my known Lore cousin who also descends from the same Acadian ancestor, Antoine Lore, son of Honore Lore and Marie Lafaille. Additionally, I’ve worked with some of these people and we have confirmed Honore Lore and Marie Lafaille as our common ancestor as well. In other cases, we’ve confirmed upstream ancestors. Unfortunately, the Acadians are so intermarried that it’s very difficult to sort through the most distant genetic ancestor because there tend to be multiple most distant ancestors in everyone’s trees. There is a saying that if you’re related to one Acadian, you’re related to all Acadians and it’s the truth. Just ask my cousin Paul who I’m related to 137 different ways. Matches to endogamous groups tend to have very, very long lists of matches, even triangulated, which means proven, matches. I hope this step by step article has helped take the Greek, or maybe the geek, out of matching. Once you think of it in a step by step logical basis, it makes a lot of sense and allows you to reasonably judge the quality of your matches. The rule of thumb has been that larger matches tend to be “legitimate” and smaller matches are often discarded en masse because they might be problematic. However, we’ve seen situations where some larger matches may not be legitimate and some smaller matches clearly are. In essence, the 50% average seldom applies exactly and rules of thumb don’t apply in individuals situations either. Your situation is unique with every match and now you have tools and guidelines to help you through the matching maze. And hey, since we made it to the end, I think we should celebrate with that beer!!! Richard Hill, author of “Finding Family; My Search for Roots and the Secrets in my DNA,” just released his second book, “Guide to DNA Testing; How to Identify Ancestors, Confirm Relationships and Measure Ethnicity through DNA Testing” in Kindle format for just 99 cents through Amazon. While Richard’s first book was the story of his personal search for his biological parents, this second book is an introductory primer for those who are just getting their feet wet in genetic genealogy, or thinking about getting their feet wet. It’s relatively short, just 23 pages, so it’s not overwhelming. Guide to DNA Testing isn’t a “how to” book in terms of utilizing DNA results, but a basic introduction to the field of genetic genealogy, the major players, meaning Family Tree DNA, 23andMe and Ancestry.com, who sells what and how those tests work at a basic level. Richard approaches the topic in terms of developing a testing strategy to obtain the answers for whatever it is that you are seeking through DNA testing. Useful, accurate, unbiased, Guide to DNA Testing and would be perfect for a new person seeking general information. For the rest of us, it gives us a great “go to” resource for new people instead of trying to explain from scratch. Great job Richard!!! 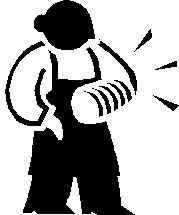 No, not PETA, the People for the Ethical Treatment of Animals, but PITA – Pain In The Arm….yes….arm…what are you thinking??? For most people, being a PITA doesn’t come naturally….so you might need some help knowing how to be one, or perhaps perfecting your PITA skills. Yes, in case you’re wondering….my tongue is firmly implanted in my cheek. For genetic genealogists, there are special ways to be a PITA. Let me share some of these with you, just so you can fine tune and add to your PITA skills. First and maybe the best ways to be a PITA, right off the bat. 1. Send e-mails with no subject or punctuation and an indecipherable topic, especially to someone you’ve never communicated with before. Here’s an example. You can just copy and paste this and send it to anyone you want to irritate or confuse. I so want to send this person something about penile implants. Is this wrong? 2. Send e-mails with no capitals or punctuations. This is always a wonderful way to impress people. 3. BETTER YET, SEND THE ENTIRE MESSAGE, INCLUDING SEVERAL PAGES OF YOUR ANCESTORS NAMES WITH NO DATES OR OTHER IDENTIFYING INFORMATION IN ALL CAPITALS. THEN ASK FOR ANY INFORMATION THAT PERSON MIGHT HAVE ABOUT THOSE ANCESTORS. THIS IS ESPECIALLY USEFUL WHEN FIRST INTRODUCING YOURSELF AND LETS YOUR NEW CONTACT KNOW JUST HOW IMPORTANT THEY ARE AND HOW MUCH FUN IT’S GOING TO BE TO COMMUNICATE WITH YOU. 4. When a match asks you for genealogy information, just send them a link to your Ancestry.com tree. You can then sit back and laugh, knowing that they have no idea where to search in your 35,723 people for a common ancestor without looking for every surname they have. Plus, you have the added benefit that Ancestry will help you be a PITA by attaching your tree to their account like a giant kudzu vine that they can’t disentangle without knowing the secret handshake. 5. When a match asks you for genealogy information, never, ever send them something actually useful, like a pedigree chart with an index. Instead send them rambling e-mails with disconnected tidbits from both sides of your family, or that link to your Ancestry tree. Go to sleep then, knowing they will be up all night trying to figure this out. 6. Ask for, or better yet, demand free consulting. Select someone at random (not me please, I already receive more than my share – 17 yesterday alone) and send them a rambling stream-of-consciousness e-mail several pages long. At the end, tell them that you can’t afford to pay anything, but ask if they would tell you “what they think.” Before sending these to anyone in the genetic genealogy community, send several to other professionals, physicians or lawyers in your community and see how that works out? Now, if someone is a project volunteer, that’s a bit different. They still don’t “owe” you free consulting, but they have set themselves forth as a volunteer resource. Still, try to be respectful of their time and be brief and concise in your requests. In other words, the 21 page e-mail I received this week from Person Unknown demanding that I, as a project administrator, figure out how the “requester” was related to three people in the large Cumberland Gap project (also persons unknown) was, well, ahem, a bit over the top, to put it mildly. No, I confess, I did not read all 21 pages and the only reason I know it WAS 21 pages long is because I wanted to use it as a bad example. If that was your e-mail and I’ve just offended you, well, I’m sorry you’re offended, but that is not the way to win friends and influence people, nor to get your questions answers or your problems solved. It is, however, a great way to be a PITA. In fact, you win this week’s PITA award! There’s a big difference between a simple one or two line general DNA question and a multi-page personal epistle that the receiver has to read three times and make charts to even begin to unravel or understand, so, to be a PITA – always make yourself annoying and then you can wonder why you never receive replies from people. Then complain about not receiving replies. Oh, and if you do write to a project administrator, never, ever tell them how or why you are writing specifically to them – it’s much more fun to leave them guessing. The sender of the 21 page epistle did not SAY it was the Cumberland Gap project – they left that for me to decipher. 7. Skim articles, don’t click on the links, and then ask questions of the author that would have been answered if you had clicked on the links they provided in the first place. They love receiving several of these e-mails every day! Now, if you have DNA tested at any of the three major testing companies, there special ways for you to be a PITA with each one. Let me give you some fresh ideas. 8. Join a DNA project, any project. Then, when the administrator sends you a welcome message, introducing themselves and asking for genealogy information, send them a nasty note. Here’s one I received recently. You can just use it. 9. Family Tree DNA does you the very large favor of providing you with the e-mail addresses of your contacts instead of forcing you to go through a message system like at 23andMe and Ancestry. When sending an e-mail to someone you match, be sure to never include the name of the person you match, or what kind of a test you took that matches. This will confuse them and make them really want to answer your inquiry. Many people manage test kits for several people and if you don’t put the name of the person you match in your e-mail, they will probably think it’s their kit, and then they will either spend a lot of time looking for matches and/or putting together genealogy info to send to you that is not useful. Then, after you receive the info, tell them you’re sorry, but the match was to a different person. That will truly endear you to them. 10. Don’t ever update your e-mail address…then complain online and loudly about how you never receive contacts from either your project administrator or your contacts/matches. 11. Don’t upload your GEDCOM file either, because someone might accidentally discover a common surname match or a common ancestor, and that would be just awful. It would also provide Family Tree DNA with the information to bold matching surnames on your autosomal match list for you, AND you’d get a $10 coupon…all of which would be just terrible. 12. Volunteer to be a project administrator, then do nothing at all. Leave your project entirely ungrouped, and refuse any assistance. In this case, you really don’t have to DO anything to be a PITA. Better yet, create an off-site (non-FTDNA) website instead of using the one at Family Tree DNA and remove any information that could be useful to someone searching for their ancestral line. Here’s an example. Don’t want to create your own website? Well, you can be almost as large a PITA by using the Family Tree DNA page and simply disabling anything useful, like, you know, most distant ancestor. That way people can see that there is a project and their line MIGHT be hidden in there, but they have no way to find out other than contacting you. Then, don’t answer, of course. 14. Tell your contact that you are really interested in genealogy, provide a little bit of genealogy info, just a couple tidbits, maybe a juicy morsel, but then refuse to share your DNA. 15. Don’t provide any surname or location information. That might give someone a clue as to how you connect – so don’t ever do that. 16. I’d tell you to never upload your GEDCOM file, or create one, but you can actually be a larger PITA by uploading your file at 23andMe, because their file reader interface works so poorly that your match will be more frustrated trying to read the file than by not finding one at all. So you can be a PITA whether you upload your file or not. How’s that for good luck! 17. Don’t ever reply to contact or sharing requests. I know this one is already quite popular. About 90% of the people there already do this, so you’ll be in good company. If people at 23andMe aren’t interested in genealogy, there is an opt-out, but don’t opt out because you can be much more of a PITA by leaving yourself in the genealogy pool but never replying to anyone, especially close matches. Drives them crazy! 18. First and foremost, never, ever reply to messages. I know that this one is very popular, because many of my DNA matches, including my closest match at Ancestry has implemented this scheme. She, I assume, due to the name (unless I’m related to the boy named Sue) and I share a common great-grandfather. In this case, I have photos she might really like to have. Too bad she is being a PITA. 19. Make your tree private, AND never reply to requests. This is the ultimate tease, because your match KNOWS the information is there, right there, hiding just out of reach, and can’t get to it. 20. Copy and paste several trees together because, after all, the names match and, hello, it wouldn’t BE on Ancestry if it wasn’t RIGHT. Right? You can then scare the bejesus out of someone when they discover that their non-Mormon grandfather had 7 wives and 35 kids….all while married to their grandmother. That’s always fun. Then, when they frantically contact you to ask about it, don’t even think about replying to that message. 21. Insist that because you and your Ancestry DNA match have a shakey leaf and a common ancestor in your tree, that you KNOW that’s your DNA match because Ancestry SAYS SO. When your match tries to explain that connection might be incorrect, may not be your DNA match and that there is no way to prove it, at least not without utilizing tools from either GedMatch or Family Tree DNA, don’t reply to them anymore. That will certainly solve the problem! 22. Send random people invitations to your Ancestry tree – and be positive your tree name has absolutely no identifying words in it. Like the one I received recently, for example, named “A Global Tree of Life.” Yep, I can tell you right away who sent that to me and why!!! 23. Oh yes, and in true PITA-esque fashion, never, ever say “Thank you,” to anyone, ever, for anything. Thank you is such an easy thing to say and it makes the person on the receiving end feel good about whatever it was they did for you – even if was “just” answering your question. So don’t slip up and do this! Otherwise, you’ll certainly be thrown out of the PITA Club! 24. Instead of being grateful for free things, like blogs and webpages, and simply unsubscribing or ignoring them if you don’t like them, make nasty comments. That will certainly confirm your PITA membership and make the person providing the free content feel warm and fuzzy about the time they invest.